One last Test Render, I promise! While I wait for the animation test I am currently rendering to finish (Hopefully Irene doesn't cut the power off on me in the middle of another render), I thought I would share one more test. 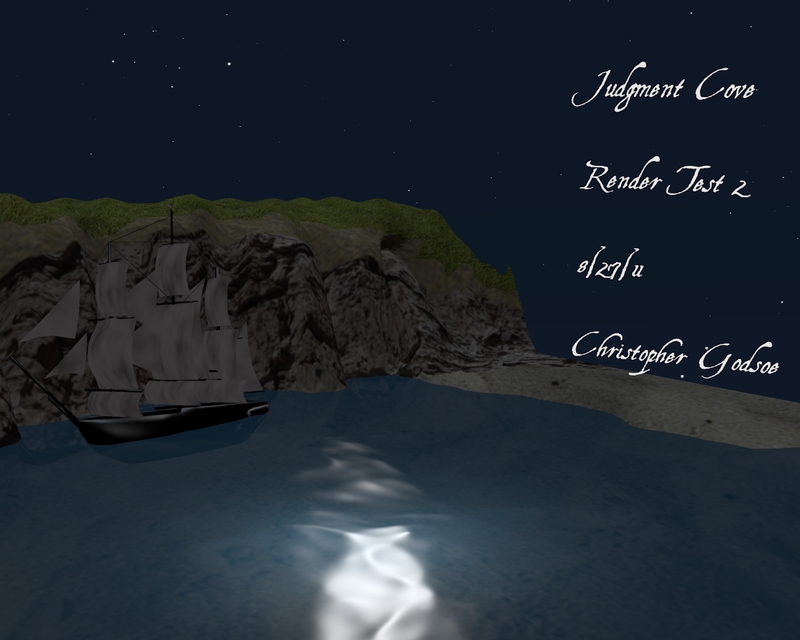 This one I have included the ship, a starry sky, and tweaked the lighting to be more dramatic. I won't be posting any more test images before the full reveal, but I will be posting the test render tonight, simply because I think my attempts at animating the boat to rock and rise and fall with the waves is going to be hilarious. 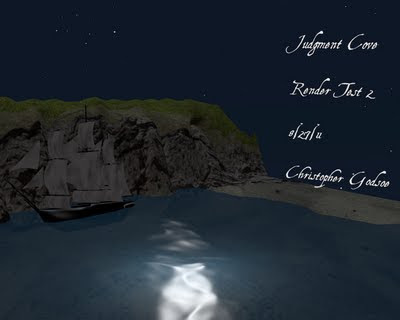 So here it is, and just to goof off I used Blender's text tool to model a 3d title in the Aquiline font that seems to fit the tale of Judgment Cove so well. Goodnight, and I hope everyone makes it through this weekends storm ok.